Photo courtesy of Burk's BBQ. Kevin Burkardt eats, sleeps and breathes barbecue. 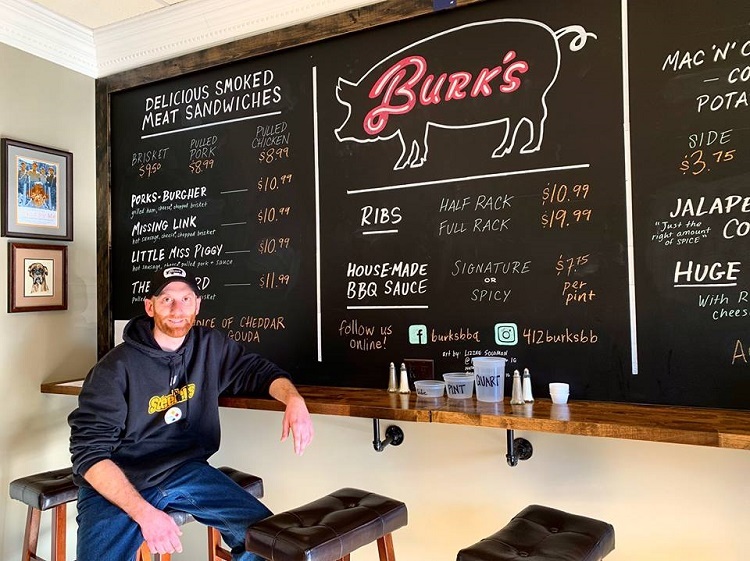 In December, he opened Burk’s BBQ on Maryland Avenue, and the 34-year-old even has a cot set up at his new Oakmont eatery so he can catch some zzz’s while the meat slowly smokes to perfection. Burk’s style combines a Carolina vinaigrette-based sauce with a Texas-sized approach to smoking dry-rubbed meats over locally grown red and black oak. That particular wood, he says, gives the meat a strong, consistent flavor without over-caramelizing it. The Fox Chapel native and self-taught chef is a veteran of the local food scene. He’s worked in kitchens at various pizzerias, and at Girasole in Shadyside, Blue North Restaurant in Allison Park and Oakmont’s own Hoffstots Café Monaco. Photo courtesy of Burk’s BBQ. Along the way, he’s spent time traveling throughout the South, sampling different barbecue styles. His idol is Aaron Franklin, a James Beard Foundation Award-winning chef and lauded pitmaster who runs Franklin Barbecue in Austin. At Burk’s, so far the pulled pork sandwich is the biggest seller. But you’ll also find brisket and pulled chicken sandwiches, ribs and “Porks-burghers” loaded with multiple meats such as grilled ham and hot sausage. Homemade sides are the traditional favorites, including mac and cheese, coleslaw, cowboy baked beans and potato salad. There are a few bar stools at the shop where customers can sit and eat, but Burk’s is mostly a grab-and-go shop and catering service. 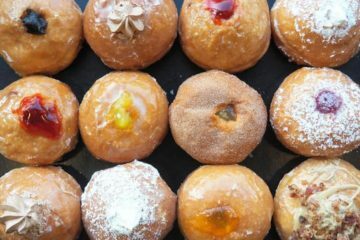 Since the grand opening, Burkhardt has already fed guests at three weddings. His dream of owning a barbecue restaurant started three years ago. 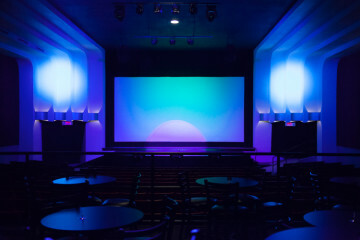 For a while, he sold his food at The Oaks Theater on Allegheny River Boulevard, but he soon realized that venue was better suited for popcorn and candy. This new storefront was a former catering facility, so it was in move-in condition for Burkhardt, who brought along a smoker that can hold up to 18 pork butts and a 100-pound suckling pig. In the future, he hopes to do pop-up pits around town and source his ingredients from local farms. For now, though, Burkhardt is just happy to be a part of the barbecue boom that’s happening throughout the city.